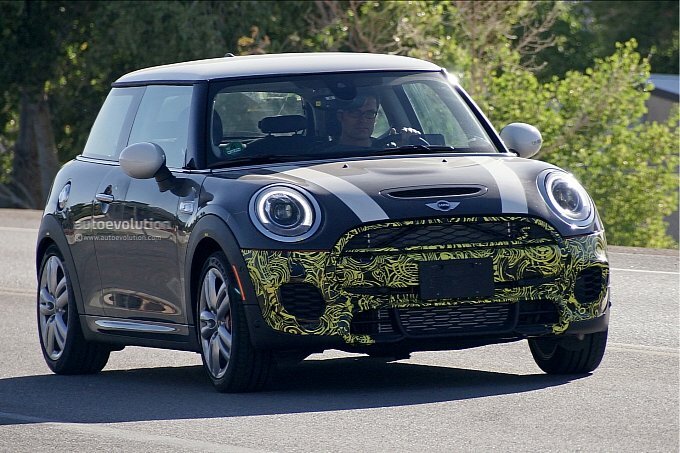 NorCal MINIS | Northern California's Premier MINI Cooper Club: MINI JCW Hatch Spied In The U.S.
. . . First of all, and also quite obvious, the front bumper seems to have a different design. There are two extra air intakes towards the sides, where the fog lights used to be on the ‘normal’ Cooper and Cooper S models. Those could very well be used either for the intercooler or to keep fresh air into the engine. Second, looking behind the wheels we spotted red brake calipers with the JCW logo imprinted on them, another dead giveaway, alongside the wheels themselves that have had the same design on Works models for the last few years. . . .